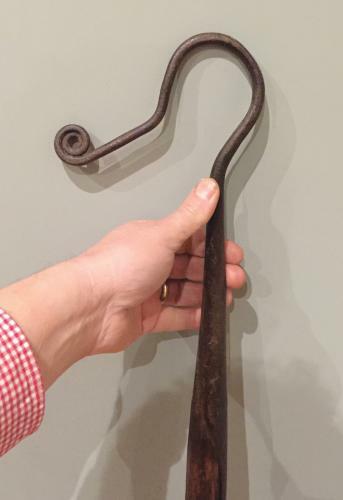 Rare antique Dorest Neck Crook being of slighter proportions. The mouth opens out to 5 cm more commonly associated with lambing and Dorset breeds. The finial ends in a full double swirl. Good original shaft. Postage would be £12 as less than 1.5m to Uk.